In its press information for the RDX, Acura lists no fewer than 10 midsize luxury utility vehicles that compete for buyer attention. Honda’s primo division says the RDX has led the segment for the past decade. The company also says that not one piece of the new RDX is a carry-over, which some might consider risky business for a vehicle that was already perched atop the popularity rankings. The gamble should pay off handsomely, though. The goal was to add a strong dose of passion to dovetail with the car’s practical nature and stellar performance. The design leans heavily on the Precision Concept show car that represents the latest styling direction for Acura. The crisp lines, mildly overstuffed fenders and elegant nosepiece with Diamond Pentagon grille exude elegance from every angle. Even the liftgate, taillights and bumper — which seem often overlooked/ignored by designers — are as eye-catching as the rest of the body. The interior is as rich as the outside, with a dashboard replete with swoops and swirls that deviate from the less organic shapes found in the Audi Q5, BMW X3 and others. The upright 26-centimetre screen that oversees the infotainment, phone and navigation system is touchpad-controlled from the console, and not the screen. Traditional switches operate the climate controls, while a small knob looks after audio volume. 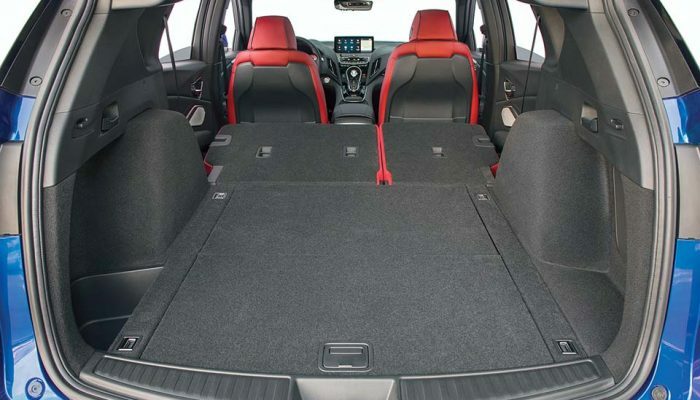 The RDX also has more passenger and cargo room than the previous model due to a slightly wider body and a nearly seven-centimetre stretch between the front and rear wheels. 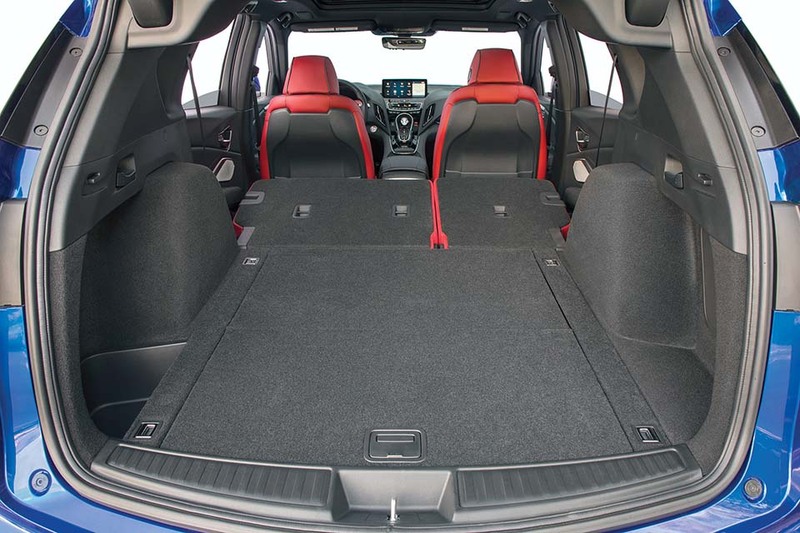 The nearly flat load floor (with the rear seat folded) hides an additional stowage bin for safekeeping your valuables. 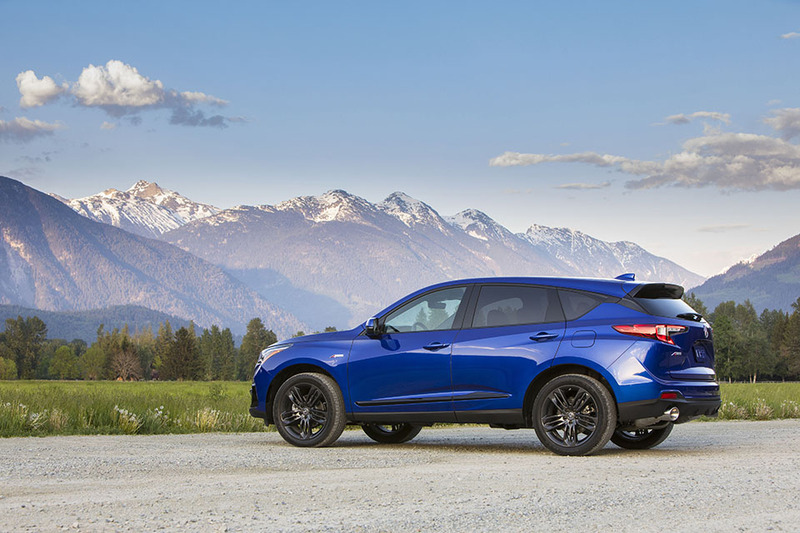 For 2019, the RDX abandons the 3.5-litre V-6 that’s rated at 279 horsepower and 252 pound-feet of torque. In its place is a turbocharged 2.0-litre four-cylinder that makes 272 horsepower and 280 pound-feet. The output beats the RDX’s competitors hands down and makes quick work of stoplights and slower traffic. The turbo engine’s lighter weight also improves the front/rear weight distribution. A smooth-shifting 10-speed automatic transmission directs power to all four wheels. Also gone for 2019 is what Acura called “Intelligent Control” all-wheel-drive that split the torque front to back but not side to side. Instead, the more sophisticated Super Handling All Wheel Drive (SH-AWD) that came in the original RDX returns, but in a more advanced form. In normal driving conditions it sends 70 per cent of the engine’s torque to the rear wheels, but can direct up to 100 per cent to the outside rear wheel when turning. You can actually feel the rear-wheel torque bias when executing tight turns at higher speeds. Acura has assembled the RDX around an entirely new chassis that’s lighter and less prone to bending a twisting. The sport-tuned suspension components are also new and contribute to the vehicle’s exceptional ride and precise handling qualities, especially over choppy roads. 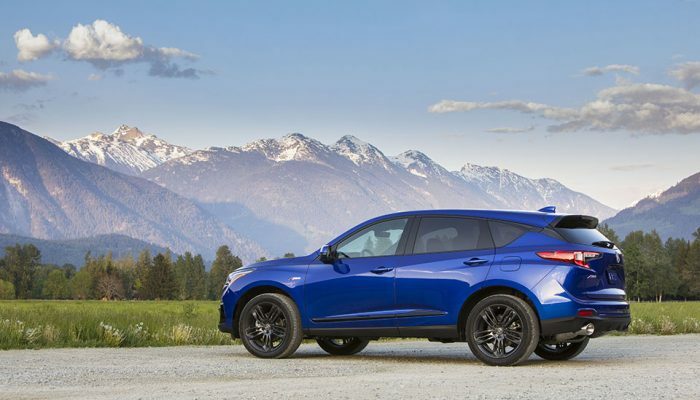 At a base price of $46,000, the base RDX is hardly that, as it comes with dual-zone climate control, panoramic moonroof, 12-way power-operated and heated front seats, power tailgate and 19-inch wheels. The sporty A-Spec that Acura expects to be the most popular trim level includes navigation parking sensors, 20-inch wheels and unique interior and exterior styling. The top-dog Premium Elite comes with a head-up display (key information is projected onto the windshield), 360-degree surround-view camera, active dampers that constantly adjust to varying road conditions, and a 16-speaker ELS Studio 3D sound system, with four of those speakers located in the ceiling. Acura includes its latest active-safety technology suite in all RDX trims, which is the cherry on top of an exceptionally quick, comfortable and competent machine that also happens to look as good as it drives. Market position: The RDX is perched atop the compact luxury utility vehicle segment that’s expected to grow significantly in coming years and includes numerous models from domestic- and import-based automakers. 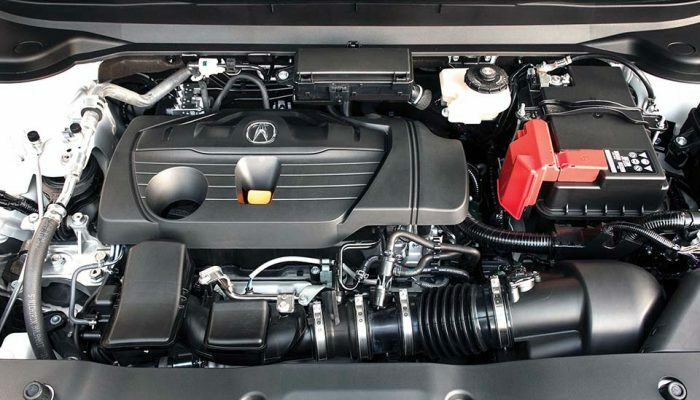 Points: Its styling raises the bar high for other Acura models, not to mention competitors. • Comfortable, well-appointed interior comes with an abundance of content. • Turbocharged engine outpoints the previous V-6 in horsepower and torque. • The return of SH-AWD is welcome news. • Optional 16-speaker audio system is as good as you’ll hear anywhere. L/100 km (city/hwy) 11.0/8.6; Base price (incl. destination) $46,000. below the shift-button panel. Speaking of that, what was wrong with having a normal shift lever? 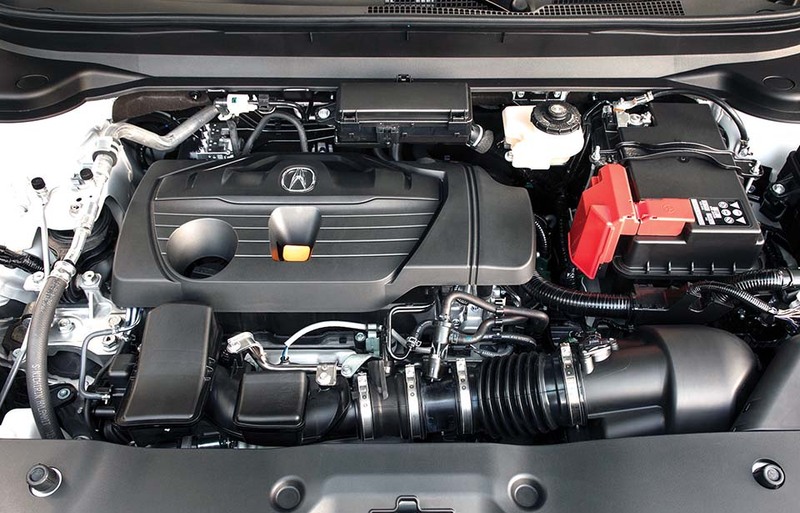 Acura tried a turbo engine before in the RDX, but it was harder on fuel than the V-6 it replaced. Compact wagon comes with AWD plus a choice of two turbo engines. Impressive ride, handling and performance. Quattro all-wheel-drive is standard. Renewed for 2018, the X3 gains a bit more space and base h.p. AWD is standard.